Please remember that whatever the disaster, PATH Intl. might be able to help. The PATH Intl. Disaster Relief Fund was created to help centers with an immediate need in funding expenses not normally covered by operating insurance. Click here for more information and to apply. Do you want to help aid in disaster relief? Please donate to the PATH Intl. Disaster Relief Fund and help your colleagues, PATH Intl. 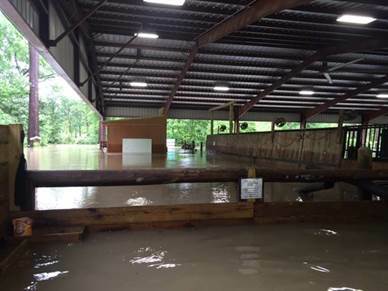 horses and centers in need. Most of you know by now that PATH Intl. is working toward having its registered level therapeutic riding certification accredited by the National Commission for Certifying Agencies (NCCA), the accrediting body of the Institute for Credentialing Excellence (ICE). "Regardless of industry, there is a common need to increase public safety and ensure quality services. To help fulfill this need, government agencies, regulatory bodies, employers, insurers, associations, and individual consumers turn to credentialing." A vital part of ICE's mission is to educate stakeholders, including the public, about the importance of credentialing to ensure competence across professions and occupations. This three minute, thirty second video, "Credentialing: What Is It and Why Is It Important," will answer some of the non-PATH Intl. specific questions you may have. So where is the association in this process? A job task analysis was recently conducted by a third party to help determine what the daily job function is for the certified registered therapeutic riding instructor in order to design a valid certification test. The office has received the final report from the analysis, and we're excited to begin to analyze and interpret the data. This will take a little time, but we'll keep members apprised of that process and the findings. What's next? A change to the PATH Intl. bylaws is required to address establishing the system that will result in the autonomy of the certification and education requirements. Updates on this progress will also be coming soon. Have more specific questions? This PATH Intl. Strides article is a great place to start, and a detailed webinar will be available toward the end of May. Watch the eNews for details. This webinar will provide education on the four types of cerebral palsy, as well as common symptoms, including hypertonicity, hypotonicity, visual deficits and primitive reflexes. In addition, the presenters will also review PATH Intl. precautions relating to cerebral palsy and common medical equipment used by riders with CP. This webinar is eligible for 1 hour of disability education on your annual certification compliance. Click here for more information and registration. Log in to your PATH Intl. account to access member pricing. Join PATH Intl. Copper Sponsor CastleBranch for this educational webinar on the importance of background checks for your volunteers and how to keep your program/organization safe and credible. Learn why background checks are important when hiring volunteers and the types of background checks available. Additionally, presenters will dive into the Fair Credit Reporting Act (FCRA) and how this impacts volunteers. Learn what you need to do to stay compliant and get a better understanding of the laws. This webinar is eligible for one hour of continuing education on your annual certification compliance. 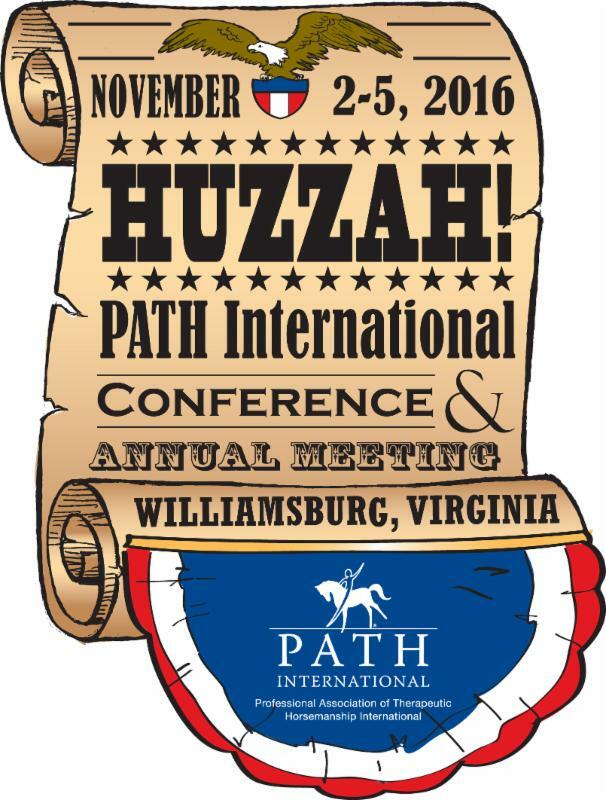 Recognize the outstanding individuals and equines at PATH Intl. Centers for their extraordinary accomplishments by nominating them for recognition at the national level. Nominations are due no later than Friday, May 20, 2016, 11:59 p.m. MDT. The nomination process is now easier than ever. Simply fill out the online form and your response will be automatically submitted! If you have any questions, please email Jaime Covington or call her at (800) 369-7433, ext. 125. A quick thank you to the overwhelming number of respondents to the recent purchasing preferences surveys. We are so grateful to everyone who took the time to contribute to the association's knowledge regarding individual member and center executive director spending habits. Results were promised to the center EDs who participated and shared their contact information, and $100 in PATHBucks were promised to a random respondent from the individual members who left their contact info. The winner was Virginia Womack! The next section of the PATH Intl. Spinal Cord Injuries, Paralysis and EAAT online course will begin June 1, 2016. In addition, this course is eligible for six hours of disability education and six hours of continuing education hours on your annual certification compliance. This is 12 hours total of continuing education hours. If you have any helpful ideas, please click here to join the discussion. It is vital that PATH Intl. Instructors-in-Training receive the best mentoring possible to help them succeed and become top-notch instructors. Any and all feedback on this discussion is welcome! Group or Individual Horse Housing: Which Is Less Stressful? We're getting the message now: Horses don't like being separated from other horses. And as the research pours in, we're finding more and more support for that idea. Case in point: British researchers have confirmed that horses tend to show more physiological signs of stress when they're housed in individual stalls, whether they act like it or not. Read more. Last year in November BraveHearts Therapeutic Riding and Educational Center, a PATH Intl. Premier Accredited Center in Harvard, IL, began mentoring veterans to become PATH Intl. Certified Registered Instructors so they could teach other veterans riding while providing much needed peer-to-peer support. The mentorship program was led by PATH Intl. Certified Master Instructor Meggan Hill-McQueeney and assisted by PATH Intl. Certified Registered Instructor Paddy McKevitt and PATH Intl. Certified Registered Instructor and United States Marine Corps veteran Nick Montijo. Read more.